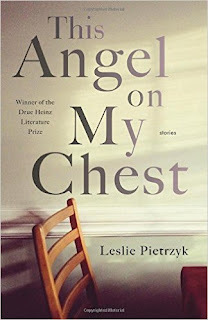 CAROLINELEAVITTVILLE: Leslie Pietrzyk talks about Her Drue Heinz Literature Prize Winner, This Angel on My Chest, grief, loss, healing, writing and so much more. Leslie Pietrzyk talks about Her Drue Heinz Literature Prize Winner, This Angel on My Chest, grief, loss, healing, writing and so much more. I wish I didn't know so much about loss. But I do, and it has changed me. 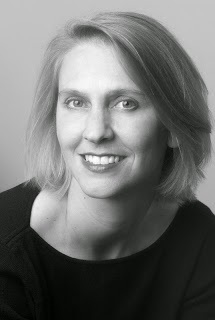 And so has Leslie Piertrzyk's dazzling new collection of stories (winner of the Drue Heinz Literature Prize) , This Angel on my Chest, a dazzling collection of stories, all about loss, each about a different young woman whose husband has died suddenly. I'm so thrilled to have Leslie here on the blog. This book is special. And Important. And Wonderful. I always ask writers on my blog what sparked them writing a particular book. I know the answer to this, but it’s so moving, I’d love for you to talk about it. Yes, my first husband died of a heart attack when he was 37 and I was 35, and many of the experiences and the emotional turmoil in THIS ANGEL ON MY CHEST are based on my own life. That said, the book is fiction, and plenty of elements are made up or fictionalized. The opening story, “Ten Things,” was actually written in the throes of grieving, the first thing I wrote after Robb died. I started the rest of the book years later, sparked by a random breakfast conversation at an artists’ colony. Someone mentioned she was teaching a class on the literature of subcultures, and I decided to spend the day writing about a subculture, since the novel I brought to work on wasn’t going anywhere. This ended up being the story “The Circle,” about a young widow’s support group similar to the one I attended for several months. Once in that world, I couldn’t leave, and I scribbled out dozens of ideas for stories exploring that part of my life. I’m so grateful that I was up early enough for breakfast that day. How difficult was it, after such a loss, to write this book? Did anything surprise you while you were writing? Almost fifteen years had passed since Robb’s death, so I had a lot of time to grieve and gain perspective. Even so, yes, some of these stories were very difficult to face. 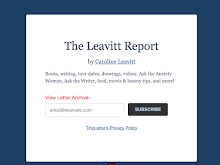 The writing assignment I gave myself was that each story must contain one hard, true thing about my experience with loss—whether an insight or an incident—so from the beginning, I knew this would be an extremely personal book. 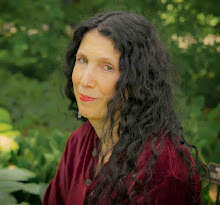 Looking back on the writing process, I realize that those early stories were highly fictionalized—characters with names, linear plot lines—and that as I kept working, diving deeper into my memories, the material became more truthful and started to read almost like non-fiction or memoir (even as I embellished and invented). Several of the earlier, more traditional stories didn’t make the final cut when I finalized the manuscript, but I’m sure writing them eased my way into the challenging stuff. What surprised me is that even as I was immersed in this difficult material, dredging up a painful time, I enjoyed thinking about Robb and mentally reliving our early days together. Those memories are mine alone now, and there’s no one else who cares about, say, the time we made cider from the wormy apples off the tree in our backyard. It was pleasant to indulge in those thoughts. Did putting words to paper help you grieve, or did it make it more acute? How do you think you would have felt differently if you had written a memoir? Though I have written a couple of short essays about Robb, I never considered writing a full-length memoir. This writer needs to duck behind the veil of fiction! And I like the tricks of invention that fiction offers, shifting events as I please or tossing in something unexpected. My Midwestern upbringing may have something to do with my overall lack of interest in writing a memoir. It feels impossible to say, “Read about me and my dead husband,” but maybe I can say, “Read about these other women and their dead husbands.” I love reading memoirs—but I’ll leave all that honesty to someone else. It’s interesting to ponder whether the writing helped me or stirred up sadness…I guess both. As I said, plenty of time had passed, but so what? As anyone who has suffered a loss knows, tough feelings arise unexpectedly, without regard to schedules and plans and “closure” (I hate that false notion). I definitely struggled with the idea that I was using the intimacy of this death as writing material and though this is what writers do, I felt guilty that I might be exploiting Robb. So, yeah, things got stirred up. Maybe that’s good? I wouldn’t want there to be a time where I wouldn’t feel emotional when thinking deeply about Robb, whether our life together or the aftermath of his death. Grieving a loss, to me, is not getting back to normal and carrying on as if nothing has changed; it’s understanding that absolutely everything has changed, and finding the strength to forge a new path to an unexpected destination. I deeply admire how you played with form. There are quizzes in here, and even an index of food. What made you decide to do this? Thank you! This is a stylistic departure for me, and I definitely had fun playing around (amidst the torture of wrestling 10 different types of point of view into the 40-page craft lecture of “One True Thing.” Hint: stream of consciousness is best reserved for geniuses!). But the underlying purpose of experimenting with form was to illustrate the utter impossibility of conveying the depth of loss and pain experienced after a loved one dies. Even mourning the death of the same person speaks to this impossibility: losing a husband is different than losing a child or a brother or a friend or a parent or a co-worker or an in-law, and none of these is the worst because they are all heartbreaking. The bereaved are plunked into an altered world, where nothing is normal, and the regular rules have vanished. I wanted the writing to reflect that reality. I’m fairly obsessive, so I could offer 1000 answers here, and probably I should be obsessed with re-revising my new novel. But what popped into my head first is that fall is coming up, so I’m pretty sure I’ll be scraping together a rationalization that tells me I need a new pair of boots. I just love boots. And coats. Put me in a cute coat and a fierce pair of boots, and the rest can be rags. I’m obsessed with boot season approaching! And this new look with fringe on boots…what could be better? Maybe something like, “This book sounds soooo depressing. Is it?” After mumbling about what a good question that is, I would say: Yep, probably hilarity will not ensue in a book in which a young husband dies or has died in every single story. After Robb died, the worst thing and the best thing I learned is that life goes on, meaning it is possible to laugh and hope and love again. Like life, my book can be sad, but it’s not without hopefulness and humor.